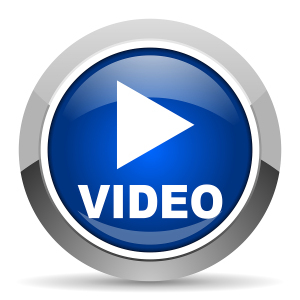 Counterintelligence has both a defensive mission protecting the nation’s secrets and assets against foreign intelligence penetration and an offensive mission of finding out what foreign intelligence organizations are planning to better defeat their aim. The year 2008 celebrated the one hundredth anniversary of the Federal Bureau of Investigation (FBI)—the principle investigative arm of the U.S. Department of Justice. The history of the “Bureau” as it is often referred to, is a truly American saga: a tale of an institution that has become an inextricable feature of the American experience. Remarkable growth and transformation are also evident in this story. Originally envisioned as a modest investigative agency; the FBI, over ten decades, has emerged as the most powerful investigative agency in the world. Today, with a force of twenty-five thousand employees serving at home and most foreign countries, one can only begin to grasp its uniqueness; in effect, a national investigative and intelligence service responsible for all criminal, counterterrorism, and counterintelligence matters—in a single agency. 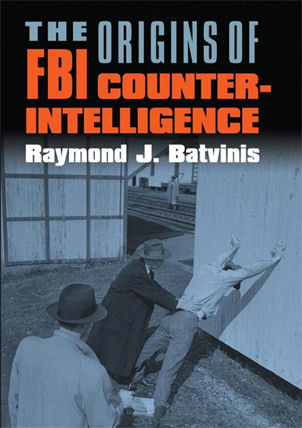 This chapter will address only the FBI’s foreign counterintelligence function; briefly tracing its evolution through an examination of the key events and issues that effected its growth as the principle civilian counterintelligence service of the U.S. government. The FBI was founded in 1908 to serve as a permanent investigative force for the U.S. Department of Justice. Its mandate was the enforcement of federal laws by collecting evidence for government use in criminal or civil proceedings. One of these statutes was espionage against the United States. With no foreign enemies to fear at the time the FBI focused on other issues during this period of progressive reform: fraud, waste, and even morality under the so-called Mann Act, a law that made the transport of a woman from one state to another for immoral purposes a federal offense (Whitehead 1956,17-25). World War I thrust espionage to center stage of America’s national security agenda—a priority that the government was ill prepared to handle. With no precedents, no human talent or experience to draw from nor any counterespionage service in existence, President Woodrow Wilson was forced to rely on a loose arrangement of agencies that included the FBI, the War Department’s Military Intelligence Division (MID), the Office of Naval Intelligence (ONI) together with hundreds of state and local police agencies nationwide, all with no history of working together on a common mission. German espionage and sabotage in the United States illuminated this hopeless arrangement. A case in point was the massive explosion that occurred on June 16, 1916, at the Black Tom munitions terminal located near Jersey City, New Jersey, which cost two lives and at least twenty million dollars of damage to war supplies destined for the Britain and France. On January 11, 1917, a mysterious fire destroyed the Canadian Car and Foundry Plant at Kingsland, New Jersey, resulting in another seventeen million dollars in damage followed the next day by a an explosion at a DuPont plant nearby. The investigations of these incidents were generally characterized by interagency rivalry, stalled investigations, and a few insignificant arrests that failed to produce sufficient evidence of German government inspired sabotage (Witcover 1989, ch. 2, 189-90). American counterintelligence disarray only worsened after the war. With Russia in Lenin’s hands and communism spreading throughout Europe, America found itself in the grip of a new hysteria: fear of home-grown and foreign-inspired anarchy aimed at government overthrow. These anxieties were fueled when a group called the “Anarchist Fighters” began sending letter and package bombs to prominent citizens around the country during the summer of 1920. One bomb sent to Attorney General of the United States A. Mitchell Palmer prematurely detonated killing the bomber and damaging Palmer’s Washington, D.C., home. The shaken Palmer quickly declared a nationwide emergency and began connecting “the dots as [he] saw them” noted one historian. In his mind “communism had triumphed in Russia and was sweeping Europe in a wave of uprisings. American communists leaders had proudly allied to Moscow” and then “announced their own blueprint for takeover?’ As Ken Ackerman has written, by late 1919 “anyone who didn’t see the danger on the horizon seemed like a fool” (Ackerman 2007, 385). Turning to J. Edgar Hoover, then a twenty-five-year-old Justice Department attorney, Palmer set up an all-source intelligence Justice Department repository called the General Intelligence Division (GID). Records were collected, collated, and regularly updated on suspected anarchists as well as ethnic, labor, and civil-rights leaders and organizations throughout the country. Foreign newspapers, magazines, and periodicals from countries such as Lithuania, the Soviet Union, Romania, Portugal, and Italy together with pamphlets published by ethnic organizations in major U.S. cities were indexed and updated for later reference (Ackerman 2007, 340-41). Relying on GID information, Palmer ordered Hoover to work with the Immigration Service, then an arm of the U.S. Department of Labor, to identify dangerous aliens and arrange for their deportation. Armed with arrest warrants, signed by the attorney general, FBI agents, together with immigration officials and local police, launched nationwide raids rounding up and imprisoning en masse, according to one very rough estimate, between five and ten thousand so-called alien radicals, anarchists, and communist-party sympathizers (Ackerman 2007, 389). Palmer’s massive dragnet was conducted without the authority or even knowledge of William Wilson, the secretary of labor, who had been absent for months from his office for family health reasons. In the spring of 1920 Louis Post, a senior Labor Department official opposed to these questionable arrests, was appointed acting secretary. A month later Post forced the release of fifteen hundred jailed aliens and then dismissed the charges for insufficient evidence. Before Post finished, practically all of those charged were released. The American public, warned by Palmer to expect a revolution, were puzzled when nothing happened, and then shocked at the unexpected release of these so-called terrorists. Bewilderment soon turned to outrage when the government’s disregard for the basic civil liberties was made public. Palmer’s actions dramatically slowed counterintelligence development in the United States. The popular view was that the government’s counterintelligence function was a threat rather than a useful tool for combating foreign espionage. As a result the GID closed in 1921 ending further collection of intelligence information. The closing the MID’s counterintelligence operation soon followed. “With [these decisions], any chance of developing a functional counterintelligence sharing system capable of protecting U.S. interests from foreign intelligence aggression” one historian noted, was “delayed for another fifteen years” (Batvinis 2007, 44). Further contraction followed in the fall of 1923 with the nomination of Harlan Fiske Stone as attorney general. Calvin Coolidge, who became president on the death of President Warren G. Harding, purged Harding’s cabinet, removing Interior Secretary Albert B. Fall, later imprisoned in the wake of the “Teapot Dome” scandal, and attorney general and Harding political crony, Harry Daugherty, who Stone replaced. Stone appointed J. Edgar Hoover as acting director of the FBI in May 1924. Hoover took control of a demoralized agency which, in the words of one historian “gathered evidence in a haphazard fashion,” a failure that routinely jeopardized successful government prosecutions. Stone’s clear and straightforward order to Hoover was to end intelligence investigations of Americans and reform the FBI. Hoover later documented his instructions in a six-point memorandum: five dealt with FBI reform while the sixth point, seminal in its implication for a fundamental course direction, insisted that the Bureau act strictly as a “fact-gathering organization” pursuing “activities [that] would be limited strictly to investigations of violations of criminal law” (Whitehead 1956, 68). Stone’s order ended foreign counterintelligence investigations. In what would be referred to as the “Stone Doctrine” the attorney general established a rule which governs the U.S. intelligence policy today: the federal government cannot investigate anyone for exercising a constitutional guarantee of free expression unless sufficient facts indicate the person is engaged in criminal activities to support a political objective. Hoover soon began modernizing and professionalizing the Bureau by weeding out incompetence, implementing scientific law-enforcement techniques, and investigating fraud. 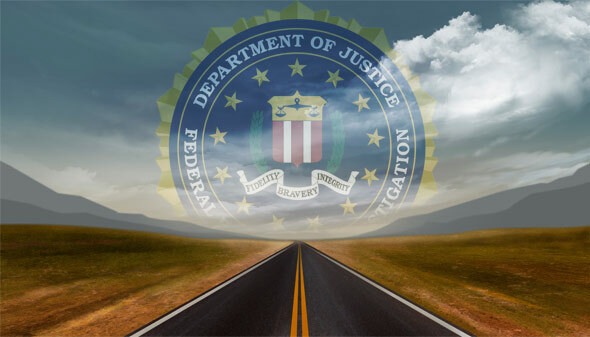 FBI responsibilities expanded in 1933 when Congress passed an omnibus crime bill federalizing jurisdiction over matters that were previously a state responsibility. Crimes such as bank robbery, bank burglary, kidnapping, and fugitives were assigned to Hoover’s Bureau. Exploiting front-page headlines touting the nationwide capture of a collection of colorful crime figures such as “Pretty Boy” Floyd, “Machine Gun” Kelly, and John Danger, Hoover transformed the reputation of the new FBI in a decade while creating the image of the fearless “G-Man,” a legend that would elevate Hoover and the FBI to almost mythical levels in the nation’s imagination (Burrough 2004, 5-19). Yet with no single federal agency responsible for counterespionage, theft of government secrets remained easy prey for Germany, Japan, and the Soviet Union. With the arrival in the United States in 1933 of Boris Bazarov, the new Russian intelligence station chief, acquisition of military secrets became, the “key goal” for the Russians (Sibley 2004, 25). By leveraging its connection with the American Communist Party and President Roosevelt’s interest in developing trade, Moscow reaped hundreds of millions of dollars worth of scientific research for Soviet use. At the same time German agents also walked off with America’s most important military technology with an ease that defied comprehension (Batvinis 2007, ch. 2). 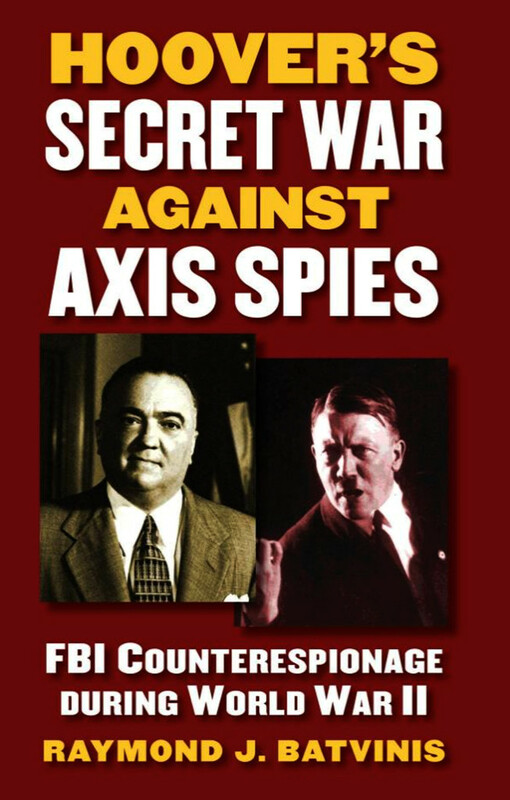 FBI counterintelligence reform began in February 1938 following the discovery of a major German espionage ring which had been operating for years in the United States. It was soon closed down with the conviction of four low-level operatives, but not before public revelations of embarrassing investigative missteps by Hoover’s vaunted FBI (Batvinis 2007, ch. 1). In the fall of 1938 President Roosevelt substantially increased FBI, ONI, and MID counterespionage budgets, followed in June 1939 by the presidential creation of the Interdepartmental Information Conference (IIC). Composed of the heads of the MID and ONI with Hoover as chairman, the IIC served as a center for policy coordination and dispute resolution. The GID was reopened, a special liaison unit was formed for contact with cabinet departments, a plant protection program was created to tighten up personnel and physical security at American industrial facilities and weekly IIC meetings were held to hammer out jurisdictional agreements. One typical accord called for FBI investigation of civilians (citizens and aliens) because of their potential prosecution in federal courts while MID and ONI handled soldiers, sailors, and marines under the Uniformed Code of Military Justice, requiring prosecution in military courts. The president insisted that the FBI serve as a “clearing house” by ordering all federal agencies to report any allegations of espionage or sabotage to the FBI for investigation. State and local police agencies around the country were encouraged to report similar suspicions to the FBI as well (Batvinis 2007, 67-68). In July 1939 the first FBI counterespionage training school was held for its special agents in charge followed soon after by a special FBI counterespionage school for selected South and Central American police officials. Liaison with foreign police and security agencies accelerated. For years State Department restrictions forced Hoover to use subterfuges in exchanging information with friendly foreign security services. Freed by the IIC mandate, formal sharing arrangements began in 1939 with the Royal Canadian Mounted Police followed in July 194o by FBI facilitation of the establishment of British Security Coordination, the MI6 station in New York headed by William Stephenson (Secret History 1999, 3-7). The year 1940 witnessed three events which greatly. affected the FBI’s counterintelligence growth. The first, a counterespionage investigation, provided the FBI with an education that it could receive in no other manner. The next two involved presidential orders concerning electronic interception of conversations and the creation of a foreign intelligence service. The FBI investigation of the so-called Ducase beginning in February 1940 was a watershed in the FBI’s counterintelligence history. Named after Frederick Duquesne, one of the ringleaders, the case started when William Sebold, a German-American, forcibly recruited into espionage in Germany in 1939 by the Abwehr, promptly told all to the FBI upon his return to America. Using Sebold as its double agent in (the first in FBI history), the FBI uncovered a massive German espionage ring which concluded in June 1941 with the arrest of thirty-one spies and the identification of another fifty un-indicted co-conspirators living outside the United States. During the eighteen-month life of the case the FBI learned many lessons including the techniques of double agentry, espionage tradecraft, accommodation addresses, dead letter boxes in major cities throughout the world, shortwave wireless deception, and military coordination in response to unexpected moves by the Abwehr. As a result, German espionage in America was shattered on the eve of Pearl Harbor, while at the same time positioning the Bureau well for the wartime espionage realities to come (Ronnie 1995). The technological advancements after the First World War that made household radios a permanent fixture in America, in turn led to stiff competition among entrepreneurs eager to get into the broadcast business. Congressional efforts bring rationality to this new industry led to the passage of the Comprehensive Communications Act of 1934, which created the Federal Communication Commission to oversee the new industry. One drawback to the law, however, was a permanent ban on government use of intercepted electronic communications as evidence in criminal trials. Throughout the 1930s the Supreme Court of the United States consistently upheld this provision with the final government appeal struck down in December 1939 — three months after the Second World War erupted in Europe. President Roosevelt has been described as an attorney who saw issues not as legal or illegal, but as matters of right or wrong. By banning wiretapping, Roosevelt reasoned, the Court had not considered the espionage and sabotage menace facing America, a threat that he believed demanded the exploitation of every advantage for the nation’s protection (Jackson 2003, 68-69). Ignoring the Court’s ruling the president ordered the attorney general of the United States, Robert Jackson, in May 1940 to instruct the FBI to begin wiretapping foreign embassies, consulates, and other suspected foreign espionage and sabotage platforms, an order which led Hoover to report by summer’s end that “all conversations into an out” of the German, French, Italian, Russian, and Japanese embassies were being recorded (Batvinis 2007, 133). Two months later President Roosevelt secretly ordered J. Edgar Hoover to set up the first secret foreign intelligence service in the nation’s history. The targets of the new “Special Intelligence Service” (SIS) were Latin American capitals where FBI agents, posing as businessmen, stole political, diplomatic, economic, and military information for use by U.S. government policymakers. The SIS successfully operated for seven years ending in May 1947 when its functions were consolidated into the newly created Central Intelligence Agency (CIA). During its lifespan it contributed significantly to the FBI’s counterintelligence progress as well as the later startup of CIA. Hundreds of German agents were seized in Latin America and secretly shipped to U.S. prisoner-of-war camps until their repatriation after the war. Important tactical and strategic intelligence was acquired, and thousands of secret radio communications were intercepted by the war’s end. Using leads provided by British code-breakers, SIS operatives together with special agents in the United States successfully exploited double agents as part of the famed “Double-Cross” system in the run-up to the Allied invasion of Normandy. So effective was the FBI against Germans intelligence that Guy Liddell, a senior MI5 officer with access to Abwehr Ultra, confided to his diary that “he [Abwehr] considers the FBI a far more formidable obstacle than the British secret service” (Liddell 1943). Axis espionage diverted attention away from Soviet wartime intelligence activities in the United States. Stalin’s forces suffered horrendous losses while tying down millions of German troops on the Eastern Front, a fact which led to the nagging White House fear that the Soviet Union would abandon the West by negotiating a separate peace deal with Germany as it had in 1917. It was this reality that forced the Roosevelt administration to soft pedal relations with Moscow. Army Chief of Staff General George C. Marshall ordered the Army Security Agency (ASA) in 1943 to begin efforts to decipher censored Soviet diplomatic cablegrams in search of an answer to this concern. Thousands of censored messages were collected from as many governments as possible, particularly America’s wartime partners Canada, Australia, Great Britain and New Zealand. Soon a small team of army code-breakers discovered that the system used by the Soviets for the encoding and decoding, full-proof when used properly, had been fatally compromised by Moscow’s duplication and distribution of the one-time code pads to its diplomatic establishments worldwide (Benson and Warner 1996, 83). Over time precious intelligence, hidden so carefully, steadily emerged. No evidence of a separate Stalin-Hitler deal was ever found. Army officials, however, were stunned to read of large-scale Soviet espionage during the war against the United States, Canada, and Great Britain using a vast network of agents in key wartime U.S. government agencies and industries supplying Moscow with a storehouse full of important secrets. Even more startling was the discovery that the details of the Manhattan Project, the top-secret codename for the construction of the first atomic bomb, had been in Soviet hands since the early 1940s (Benson and Warner 1996, 79). In 1948, five years after Venona (the ASA codename for the project) began, the FBI and ASA joined forces; and using the raw decryptions containing only code-names of Soviet agents the Bureau began widespread, top-secret investigations which soon laid out the full range of Soviet espionage during the Second World War. Among the more than one hundred and fifty Soviet agents uncovered were David Greenglass, brother-in-law of Julius Rosenberg, British physicist, Klaus Fuchs, and the young Harvard University physics student, Theodore Hall; all three working at Los Alamos, New Mexico—the very heart of the atomic bomb research project. Also revealed were Harry Dexter White, assistant secretary of the treasury, Lauchlin Currie special assistant to President Roosevelt and Alger Hiss, a senior State Department official who played a major role in establishing the United Nations (Benson and Warner 1996, 84). Throughout the Cold War FBI counterintelligence focused primarily on the KGB and the military intelligence arm of the Soviet General Staff, the GRU. Like a chess match between two skilled opponents, an unrelenting shadow struggle ebbed and flowed for more than forty years, each side seeking an advantage by careful movement of its pieces across an international board in a deadly war of wits. The FBI also faced the intelligence services of Poland, Hungary, East Germany, Czechoslovakia, Bulgaria, and Romania—all ideologically bound to serve Moscow’s intelligence needs. Operating from Washington, New York City, and other platforms around the country these new surrogates acted as force multipliers for Moscow. As Russian and FBI sparring deepened the focus of these matches increasingly centered on New York City. One historian explained that United Nations headquarters offered the KGB “an even larger and more important capability in New York” than it had at its embassy in Washington. For example, by January 1983, 330 Soviet nationals worked at the U.N. Secretariat (UNSEC) with another 310 members assigned to the Soviet Mission to the United Nations (SMUN), plus additional Russians working as journalists or commercial roles. Reliable information suggests that approximately 30 to 40 percent of these officials were KGB or GRU officers, many of whom gradually moved into positions of “authority and influence” (Barron 1983, 241). Add to this sizable threat the Bloc officers, after 1960 the Cubans, and in 1974 the arrival in Washington of Peoples Republic of China diplomats and one gets a sense of the magnitude of the Cold War threat facing FBI counterintelligence. A second period of FBI counterintelligence reform began in 1975 following President Richard Nixon’s resignation in the wake of the Watergate scandal and his replacement by Gerald Ford. The new president sought to improve government intelligence and counterintelligence transparency following revelations of illegal government activities conducted against American citizens particularly during the Vietnam War. Ford’s successor, President Jimmy Carter, went even farther by ordering a Department of Justice examination of FBI counterintelligence policies—an inquiry which revealed a hodgepodge of confusing rules, regulations, and levels of authority developed over three and a half decades that frequently resulted in decisions that violated the civil rights of American citizens. To correct these anomalies Attorney General Edward Levi brought rationality to the conduct of both FBI domestic intelligence and foreign counterintelligence investigations ordered the creation of new guidelines, and, for the first time, a check-and-balance system of oversight of FBI counterintelligence activities that included new levels of review for even the most intrusive procedures. Counterintelligence investigations were subjected to scheduled review to determine the necessity for continuing an investigation. Special Agents now knew where their investigative authority began and ended, what investigations they could and could not conduct, with specific time limits placed on investigations. Three decades later despite continued modification, and refinement in the face of changing foreign intelligence realities these guidelines remain the governing rules for FBI counterintelligence investigations (Nolan 2008). Curiously, it was an FBI-induced double-agent operation in 1977 codenamed Lemonaid that further reformed FBI counterintelligence. It started when a U.S. naval officer, posing as a person desperate for money, handed an officer an envelope, containing an offer to spy for the KGB, as he disembarked a Soviet cruise ship in New York following a trip to the Caribbean. Soon the double agent was embarked on a cat-and-mouse adventure with three KGB officers assigned to the United Nations in New York. Attorney General Griffin Bell, determined to slow Soviet espionage in the United States, used Lemonaid as a test case by determining that the two KGB officers handling the double agent assigned to the UNSEC had no diplomatic immunity while a third, then working in the SMUN, was immune. At Bell’s request President Carter authorized the FBI arrest of both KGB officers under UNSEC cover on espionage charges and a persona non grata action against the third KGB officer assigned to the SMUN. Both officers were later convicted and sentenced to fifty years in prison (Washington Post 1978). This case had an important impact on counterintelligence. Flagrant KGB espionage use of the United Nations, particularly the UNSEC, was curtailed with, the imprisonment of two of its officers. For the first time the FBI could speak publicly about these matters using the court trial evidence in case studies for briefings to government agencies and private companies. In the end President Carter exacted a high price from the Soviet leadership for exchanging the two officers by demanding the release of five prominent soviet dissidents including Anotoliy Sharansky, who later became deputy prime minister of Israel (Washington Post 1979). For almost four decades FBI counterintelligence electronic surveillance was conducted solely on presidential authority, a practice that ended with congressional passage of the Foreign Intelligence Surveillance Act (FISA) on October 25,1978. This law created procedures for federal-government electronic-collection requests for foreign intelligence through a special court, known as the Foreign Intelligence Surveillance Court. The FISA court judges, who are selected by the Chief Justice of the United States, rule on all government petitions for foreign intelligence and counterintelligence electronic interception. These applications and decisions remain classified to prevent public disclosure of the investigative target as well as government sources and methods. Two years later, the FBI acquired another weapon for investigating spies. This time it was the Classified Information Procedures Act (CIPA) passed on October 15, 1980. Until CIPA the government was handcuffed in its attempts to prosecute espionage agents by “gray mail,” a term applied to a defendant’s demand of the government for all information that he was accused of providing to a foreign intelligence service in order to prepare an adequate trial defense. The government’s fear was that the defendant or his attorney could further harm U.S. national security interests by publicly releasing the information, thus exposing sensitive information to other foreign adversaries. The new law alleviated this problem by authorizing the trial judge to decide what government information the defendant needed. Both sides would make their case to the judge who would then decide the defendant’s needs. Based on the judges’ findings the government could then decide if public revelation of the information was offset by the value of successful prosecution. These two national security legislative landmarks have been keys to an increase in foreign espionage convictions over the past thirty years. In a study on Americans who spied against the United States, researchers identified one hundred and fifty individuals arrested and convicted of espionage between 1947 and 2001. One hundred and nine convictions occurred following FISA and CIPA passage (Herbig and Wiskoff 2002, 31). President Ronald Reagan chose to go after the Soviet Union head on. Characterizing it as the “Evil Empire” he embarked on a crusade, not simply to get along with Moscow, but rather to use the power of his presidency to force an end to the Soviet Union forever, using FBI counterintelligence as a weapon in the pursuit of his Soviet agenda. Until Reagan came to office travel controls on Russian and Bloc diplomats were lax and rarely enforced, unlike American officials based in Moscow where all travel was strictly controlled. Legislation creating a new Office of Foreign Missions (OFM) inside the Department of State changed this equation by significantly strengthening FBI surveillance of foreign intelligence officers in the United States. A foreign diplomat’s travel in the United States was now on a quid pro quo basis with a country’s travel policy toward U.S. diplomats. Suddenly Russian and Bloc diplomats were required to inform OFM in advance of any planned travel which would then make all necessary arrangements including plane reservations, hotel accommodations, rental vehicles and specific travel route if using their own vehicle. The new law even required OFM to make any purchase requested by an embassy costing more than twenty-five dollars. To drive the point home President Reagan selected special agent of the FBI James E. Nolan, then serving as the Deputy Assistant Director of the FBI’s Intelligence Division, and one of the Bureau’s foremost counterintelligence experts, to head the OFM with the rank of U.S. ambassador—the first serving FBI agent ever to be honored in this fashion. Among the many later enhancements was the selection in 1988 of Raymond Mislock, a senior FBI executive, as the director of security for the U.S. State Department (Nolan 2008). Following the arrest in May 1985 of former navy officer John A. Walker on charges of spying for the Soviet Union, the Reagan administration undertook a further series of measures to enhance FBI counterintelligence. In addition to strengthening the special agent complement for counterintelligence, a senior FBI official was assigned for the first time to the National Security Council to serve in the Intelligence Directorate as the director of counterintelligence programs. Reagan’s decision was an unprecedented move that placed counterintelligence near the forefront of national security policy making. Soviet intelligence suffered its most crushing blow when President Reagan decided to reduce the bloated Soviet diplomatic staffing levels in the United States. Following repeated Soviet refusals to do so voluntarily, the White House took action. A formula based on the number of American diplomats in the Soviet Union and Soviets in the United States was developed that called for the elimination of fifty-five diplomatic positions from the Soviet Embassy, UNSEC, and SMUN. Relying on FBI information, the government expelled only intelligence officers including “the entire leadership of the KGB and GRU” together with “all KGB Line Chiefs and key intelligence officers.” This abrupt departure of so many talented and experienced personnel was a painful disruption for the KGB bureaucracy, one that left a large gap in their effectiveness which they never really overcame (Major 1995, io). Two decades have passed since the collapse of communism and the Soviet Union. As for the KGB threat, it has disappeared only to be replaced by smaller yet equally aggressive successor called the SVR. The threat posed by her satellite services has disappeared, replaced by a collection of peaceful East European nations eagerly shifting their alignment to the west. The Peoples Republic of China (PRC), the Asian giant which emerged from isolation less than four decades ago, today has a military and foreign intelligence capability that will pose enormous (as evidenced by the Chi Mak espionage case) challenges for the United States in the decades to come. Today the threat facing FBI counterintelligence is no longer mere deterrence of classic theft of government classified information. The overriding mission is prevention of the proliferation of weapons of mass destruction including biological, radiological, and chemical devices that will become more readily available, transportable, and more easily dispersible as the century unfolds. The new century will also be an era in which nations will pursue another nation’s economic and trade secrets with the same vigor (if not more) that it seeks military and political secrets. Given the enormity of the U.S. economy and the huge government and private investments in cutting-edge technology research the challenge facing FBI counterintelligence will come, not just from China, but from smaller nations and foreign companies willing to steal in their eagerness for any advantage in our globally competitive world. Critics claim that the FBI’s law-enforcement structure is inadequate for twentyfirst-century counterintelligence realities and should be replaced by a separate service staffed by counterintelligence officers, presumably with no law-enforcement powers. Richard Posner argues that the FBI should revert to an American version of Scotland Yard’s “Special Branch,” which investigates espionage cases referred from the British Security Service. One source with vast American counterintelligence experience who disagrees with Posner, noted that today western security services view the FBI with “naked envy” for the flexibility provided by criminal, counterintelligence, counterterrorism, and intelligence responsibilities under one roof. Others, including William H. Webster, the only American ever to serve as both the director of the FBI and the CIA; Louie Freeh, a former director of the FBI and the Deputy for the National Counterintelligence Executive, M.E. “Spike” Bowman, take a different view. They point out that the FBI has routinely adjusted to the changing foreign intelligence challenges over the past century and continues to do so. Any necessary reforms, they warn, should be made within the FBI rather than wasting a decade or two creating a separate counterintelligence agency (Posner, Secrecy and Power, 2007, 120-138; Webster 2008; Freeh 2005; Bowman 2008). A more important question is this: should the awesome responsibilities for U.S. internal security and foreign counterintelligence be separated from an organization made up of highly skilled men and women, grounded in the importance of civil liberties, trained in the rule of law, answerable to the U.S. Department of Justice, or placed in the hands of officers working in some type of separate counterintelligence service. Some would argue, yes! Others would note that America is a nation of laws which places devotion to civil liberties above all else and, in the end, that is why America’s counterintelligence function should remain with the Federal Bureau of Investigation. Ackerman, K. D. 2007. Young I. Edgar. New York: Carroll and Graf. Barrett, J. Q. 2003. That Man: An Insider’s Portrait of Franklin D. Roosevelt. New York: Oxford University Press. Barron, J. 1983. KGB Today. London: Hodder and Stoughton. Batvinis, R. J. 2007. The Origins of FBI Counterintelligence. Lawrence: University Press of Kansas. Benson, R. L., and M. Warner, eds. 1996. Venona. National Security Agency and Central Intelligence Agency. Washington, D.C. Bowman, M.E. 2008. “Spike.” Interview by author. (October 15). Burrough, B. 2004. Public Enemies. New York: Penguin. Freeh, L. 2005. My FBI. New York: St. Martin’s Press. Herbig, K. L., and M. E Wiskoff. 2002. Espionage against the United States by American Citizens, 1947-2001. Monterey, Calif.: Defense Personnel Security Research Center (July). Jackson, R. H. 2003. That Man. New York: Oxford University Press. Liddell, Guy. 1943. Unpublished personal diary entry for October 22. Provided to author courtesy of Mr. Dan Mulvenna. Major, D. 1995. Operation “Famish.” Defense Intelligence Journal (Spring): 10-22. Nolan, James E. 2008. Interview by author (October 3). Posner, R. 2006. Not A Suicide Pact. New York: Oxford University Press.
. 2007. Uncertain Shield. New York: Oxford University Press. Powers, R. G. 1987. Secrecy and Power. New York: Free Press. Ronnie, A. 1995. Counterfeit Hero. Annapolis, Md. : Naval Institute Press. Secret History of British Intelligence in America, 1940-1945. 1999. Author unknown. New York: Fromm International. Sibley, K. A. S. Red Spies in America. 2004. Lawrence: University Press of Kansas. Washington Post. 1978. “N.J. Jury Convicts 2 Soviet Spies” (October 14): Ai. Washington Post. 1979. “Soviet Union Exchanges 5 Dissidents for Two Spies” (April 28): Al. Webster, William H. 2008. Interview by author (November 7). Whitehead, D. 1956. FBI. New York: Random House. Witcover, J. 1989. Sabotage at Black Tom. Chapel Hill, N.C.: Algonquin Books of Chapel Hill.